Florence is a human rights law researcher and has a broad experience in teaching, particular interest in teaching international law, criminal law, and legal writing and research. She is a research fellow in the Child Rights Project at Melbourne Law School, and her research interests lie in exploring critical perspectives of international human rights law. 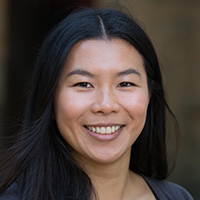 Florence graduated with a double Bachelor's degree in Law and Japanese from Murdoch University, and she holds a PhD and a LLM in public international law from Kanagawa University in Japan. She has taught at Melbourne Law School, Monash Law Faculty and the University of Western Australia's Law School.